As I'm learning BigData technologies and then I found Big Data is a big tool for Machine Learning , now to justify that I must know what is Machine Learning and Technologies. Machine Learning is heavily used in analyzing and understanding system. Like google search or Facebook photo tagging all are machine learning. Database mining is one of the very big examples of Machine Learning. Other set of examples are like non-human programmed application where human interaction is minimal. Like Auto Pilot system where there is no human interaction but things are driving, that’s where learning comes. Self-Automated System – like Amazon and all which understands your need based on your pick. Chess program was the main example for the above definition. So a computer Program said to be learning if it get improvises or learning getting increasing as the time passes. Supervised Learning – Where we teach the system to learn. Unsupervised Learning – Where a system understands by itself. 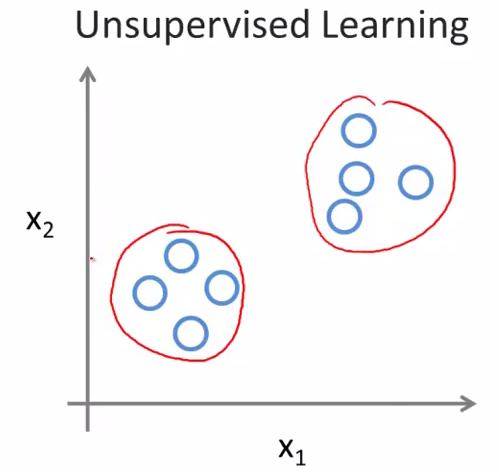 Supervised Learning returns “Right Answer” based on your input, precisely how many proper right answers it returns matters. Then a customer has a land of 750 Square feet and he needs to know the price he must expect. So the Straight red line is one kind of supervised algorithm which says the price come as 100*1000 USD but the same which curved line ie polynomial algorithm shows the value can be expected as 200. So this shows which supervised algorithm to choose and what is the expected value, so this is an example of machine learning. The example as well shows one important point i.e. Regression Problem means predict continuous valued output. Given a large dataset of medical records from patients suffering from heart disease, try to learn whether there might be different clusters of such patients for which we might tailor separate treatments. Have a computer examine an audio clip of a piece of music, and classify whether or not there are vocals (i.e., a human voice singing) in that audio clip, or if it is a clip of only musical instruments (and no vocals). From the above diagram, blue cross are Tumor Size and Red or malignant which is not healthy means a cancer risk. So from the Supervising learning we can expect that for a certain value like the Pink arrow, there is a possibility of Malignant there or not. The above scenario can send off 2 classifications like 1 value or 0 value, so we have a multiple options in hand, that is known as Classification. From the above diagram we can depict that we have some 5 features to work on and learning algorithm can answer based on 5 features. 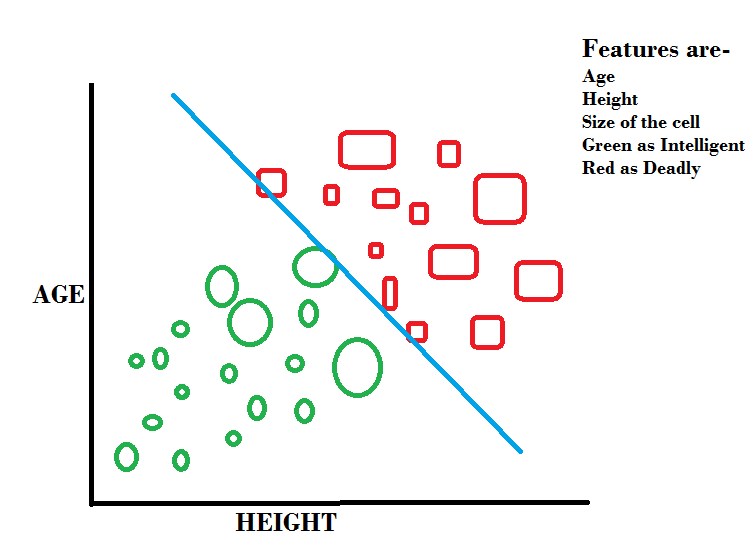 So this way supervised algorithm work on features with classifications. So our learning algorithm must be able to infinite number of features and that’s what proper Learning Algorithm is. This type of learning doesn’t have any datasets or precisely no output defined like supervised version (0 or 1). Here given a dataset, user expects “can you derive some structure from the data”. 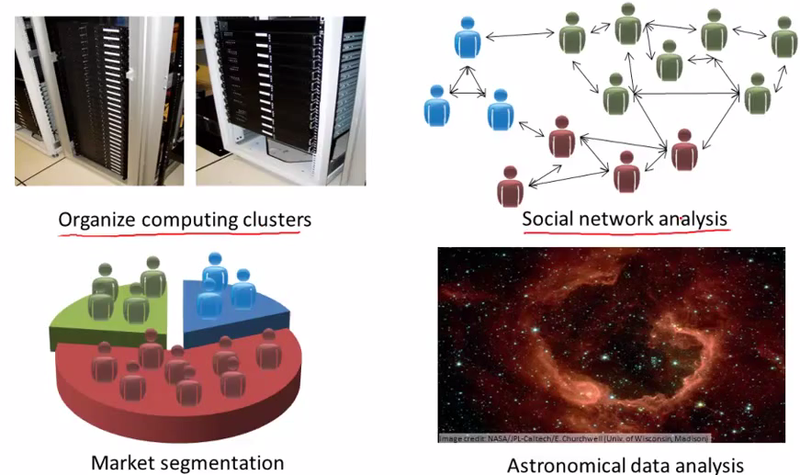 So here each red circle belongs to a cluster, so this is known as Clustering Algorithm. 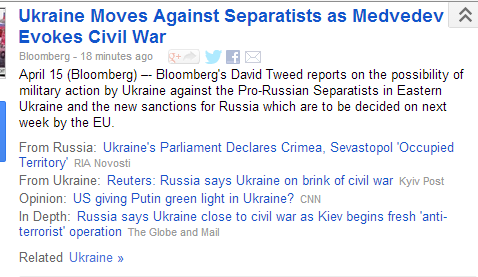 Google News uses Unsupervised Clustering Algorithm. If we open google news under a single topic it shows several hyperlinks and each open a different page. So we can consider each heading as a cluster of hyperlinks which open different links. Hadoop HDFS use clustering algorithm to split data in each data nodes. When we pass data to HDFS, we don’t define which data derive what, we just ask HDFS to store them and ask can we expect anything from data. Consider a Group Discussion where more than one guys are shouting, so sound will be mess. So that is called cocktail party unsupervised algorithm where this mixed sounds can be separated. We are not about the data, we just have sounds and we need to extract result from it, so it’s a unsupervised learning algorithm.